What is the best birthday gift you’ve ever received from your dad? 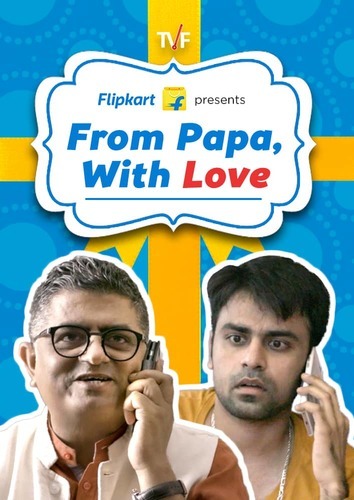 In TVF’s From Papa with Love, Bhatia Ji (Gajraj Rao) very generously tells Jeetu (Jitendra Kumar) to ask whatever he wants as his birthday gift. In what follows, Jeetu asks for various gifts, each of which his father shoots down by giving mehengayi as an excuse and going on a rant about how Jeetu needs to start saving. Jeetu informs his father that Flipkart’s Big Billion Day Sale is around the corner and that for those few days they need not worry about mehengayi. Bhatia Ji agrees, but does Jeetu get a gift that would make him happy? This is Jeetu’s eighth video with Gajraj Rao and their chemistry always cracks people up and this time it’s no different. TVF and Flipkart’s Big Billion Day Sale partnership has reached a milestone. For the 3rd consecutive year TVF and Flipkart have partnered together raising the bar for conversations around branded content partnership in the world. The relationship which started on Aug 20, 2014 has grown with each passing year and the current numbers that the latest Big Billion Day Sale video is garnering is just a proof of the success. The video which was released on Tuesday has already garnered over 6 lakh views on YouTube and has been Number 6 on the Top trending videos. TVF Presents their latest web series — FATHERS. It doesn’t get funnier than this.